Most laypeople believe that eastern native Americans didn't start farming until corn, beans, and squash made their way north from Mexico, becoming common crops around 1000 AD. 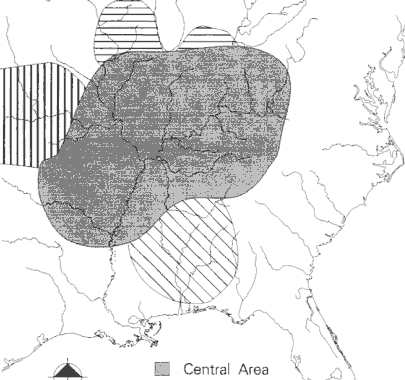 But well before then, Native Americans in the area shaded on this map had domesticated a whole suite of other crops. These plants, known as the Eastern Agricultural Complex, may have made up as much as 67% of the diet of the Native Americans 2500 years ago, with the history of the plants' cultivation extending perhaps as far back as 2050 BC. Oily seeds were an important part of the Eastern Agricultural Complex. We're still familiar with one of these eastern North American natives --- sunflowers. Another oil-seed crop is familiar for a different reason --- the original squashes cultivated in eastern North America had an inedible flesh and were instead grown for their tasty seeds. Finally, sumpweed (also known as marsh-elder) was an important crop which produced nutritional seeds made up of 32% protein and 45% oil, but which has largely disappeared from our knowledge-base. Gayle Fritz's Laboratory Guide to Archaeological Plant Remains from Eastern North America notes that "Harvesting experiments using wild stands show that sumpweed holds considerable economic potential." Small "grains" (meaning plants with starchy seeds in this context) were also important, and are mostly familiar to us now as garden weeds. 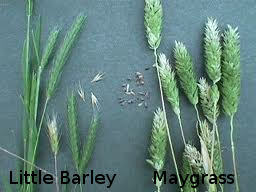 Look for lamb's quarter, maygrass, erect knotweed, and little barley in your garden and think of their long history. In the case of most of the species in the Eastern Agricultural Complex, Native Americans selected for plants that were easier to harvest or better to eat, so we can distinguish the wild ancestors from the domesticated versions in the archaeological record. As a result, you shouldn't assume that the lamb's quarter you pull out of your garden every year is the same as the one the Native Americans grew. 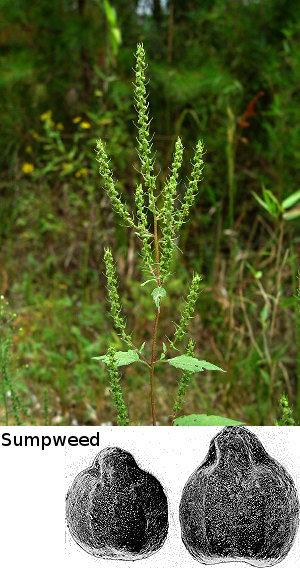 First of all, the most common lamb's quarter weed is in a different species (Chenopodium album instead of Chenopodium berlandieri). 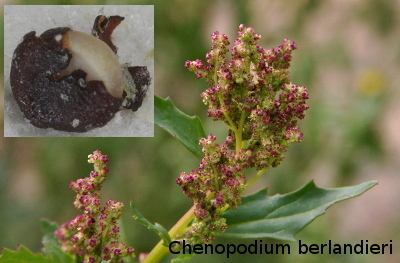 Even if you tracked down a wild Chenopodium berlandieri, it probably wouldn't look much like the domesticated version since the Native Americans bred their lamb's quarter to produce all of its flowers at the same time and to concentrate the enlarged seeds in the top inflorescence for easy harvest. In fact, like most of our current garden vegetables, the varieties in the Eastern Agricultural Complex had changed so much from the wild type that they depended on humans to propagate them and many couldn't reproduce or compete naturally in the wild. Are you interested in trying to grow some of North America's most ancient crops in your own garden. Too bad! Just as modern farmers are ignoring the hundreds of varieties of heirloom vegetables well-suited to their climate in favor of a few industrial varieties, Native American farmers quickly ditched most components of the Eastern Agricultural Complex when corn came on the scene. By the time of European contact, all domesticated varieties except sunflowers and squash were extinct. Create a homestead business that pays all of your bills in just a few hours per week. That's a great article. What sources did you use? You can see my annotated bibliography here.